Ready to access up to 40% grant funding? As every business owner knows, starting and scaling a successful business can be incredibly challenging. You’ll probably be happy to admit that you don’t have all the answers, but turning to external expertise to help address your challenges can be prohibitively expensive. Now, heres some good news that the Brexit talks won’t dampen, thanks to EU backed business grants, North East England based companies can access professional digital marketing services and website development projects, amongst other services, at significantly reduced costs. The North East Business Support Fund provides both financial and business support services to help companies grow, and AsOne is proud to be a provider for the program, enabling businesses to apply for grants which can be redeemed against web and mobile app development projects and digital marketing services we deliver. If you are a business located in the North East, and you’re looking for financial support to help develop your business, you may be eligible to access up to 40% funding. We have already supported business in accessing the grant fund successfully and aim to help other businesses benefit from the scheme. Depending on your precise location, the program will typically offer you access to a range of masterclasses, and/or funding of up to 40% of costs towards business support/growth projects and services, such as website development, eCommerce & digital marketing solutions. To be eligible, your business must be located in one of the four relevant regions listed above, turnover less than EUR50m and employ fewer than 250 people. Funding for the program is provided by the European Regional Development Fund and the fund has already helped over 2500 companies. 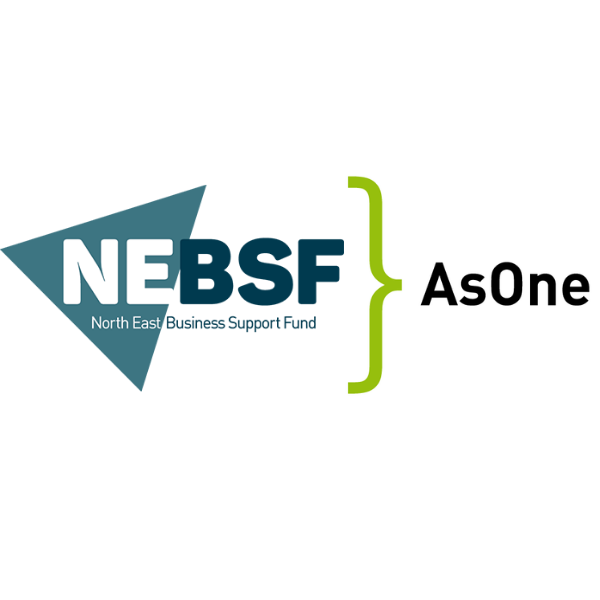 Don’t hesitate to get in touch if you have any questions about how AsOne can help your business prosper, or how to secure funding from the North East Business Support Fund. One of our experts would be happy to talk you through the process. As part of the application process you will require a written quote from us to provide to NBSL and we would be happy to talk through this with you.